Great Partnerships: MNHS and tpt! a night of great programming featuring MNHS co-productions with tpt! War can strain the bonds of love. No one understood that better than Minnesotans Madison and Lizzie Bowler. During the American Civil War, Madison and Lizzie courted, married, became parents, and bought a farm. They attended dances, talked politics, and confided their deepest fears. Because of the war, however, they experienced all of these events separately, sharing them through hundreds of letters. Discover how Madison and Lizzie maintained their steadfast commitment to one another, even as they struggled to balance extraordinary duty and distance with ordinary life and love in time of war. Written by Minnesota playwright Victoria Stewart, this original play is based on the Bowlers’ letters, held in the Minnesota Historical Society’s collection and published in the 2008 MHS Press book Go If You Think It Your Duty by Andrea R. Foroughi. It is directed by Ivey Award-winner Craig Johnson, with popular and award-winning local actors Peter Hansen, Anna Sundberg, Dietrich Poppen, and Abby DeSanto. The play features live performances of Civil War-era music with original musical direction by James Lekatz. There are two show times: Saturday, April 6, at 2 p.m. or Tuesday, April 9, at 7 p.m. Cost is $15 or $11 for MHS members. Advance purchase is required and can be made by calling 651-259-3015 or online. This program is made possible with support from the Arts and Cultural Heritage Fund, voted into law by the people of Minnesota in 2008. More information on upcoming Civil War-related events and programs. 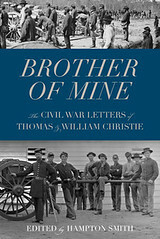 I enjoyed George Killough’s review of Brother of Mine and appreciated his astute reading of the Christie brothers’ letters. He also raised a well-founded point of criticism with which I basically agree. He asked why all 275 letters were not included in the book. Following from that question, he wondered how I chose one letter as opposed to another. I’d like to take this opportunity to describe my editorial method. As the MHS Press staff will attest, I, too, wanted to publish more of the letters. I transcribed and annotated the whole lot, so it was painful to omit any of them. But publishing is a business, and its economics do not favor very large books, unless you can be sure of selling a great many of them. So I surrendered to the necessity of cutting down the manuscript’s size. I selected letters based on several criteria. Since Thomas and William often wrote at about the same time regarding the same events, I sometimes cut one letter if it essentially duplicated the other. In cases where one brother had a different perspective on events or added information not mentioned by the other, both letters were used. I also tried to see the letters as a kind of narrative of the First Minnesota Battery. Letters that concerned mostly family matters or otherwise did not contribute to the story of the battery were candidates for cutting. Long letters on fairly narrow topics also went. An example of the latter: a four-page epistle from Thomas to his father describing in great detail the procedures for sentries at Benton Barracks. All the minutiae of guard mount are there and it is a fascinating letter (to me at least), but I had to part with it. Similarly there are a number of letters regarding the proceedings of the Union Literary Society in Vicksburg, including verbatim minutes of meetings. Although they offer an unusual glimpse at the intellectual life of Union soldiers, I did not include all of them. 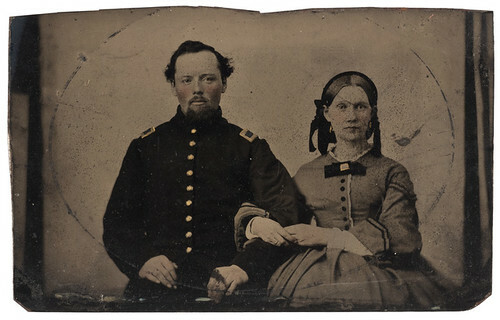 In general, most of the letters cut were written while the brothers were in camp for long periods of time, including at Fort Snelling, Benton Barracks, Lake Providence, and Vicksburg. I tended to include those that discussed significant events, like major battles or incidents such as the destruction of the steamer Madison, which William described in detail. I also tried to balance these with a selection of writings describing camp life, family relations, and political opinions. But, given that soldiers spent far more time drilling in camp than fighting in the field, a larger number of the camp letters were left out. Finally, I selected letters that seemed to reflect the writer’s personality: William’s self-mockery of his writing style and lack of grammar, or Thomas’s reflections on his religious beliefs, for example. I hope readers will find the letters entertaining as well as instructive and will enjoy the company of Thomas and William Christie as much as I did.